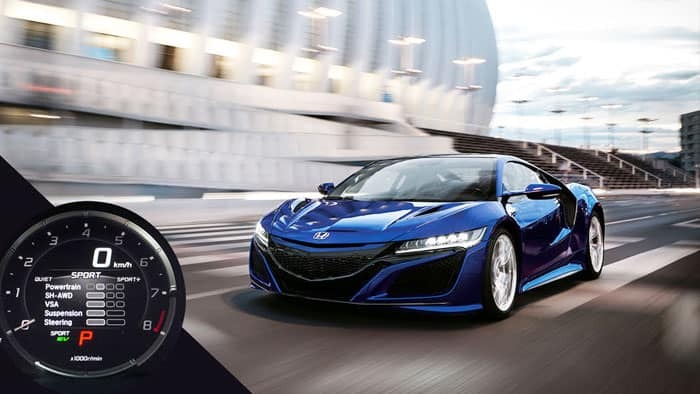 Speed, style, and overall motoring excellence is assured in the amazing Honda NSX. Spanning several decades of providing thrills and other sorts of excitement, this is one car that will definitely allow drivers to live the dream of a fast-paced life. As such, we are more than happy to present what makes this car such a hit. And similar on how we do automobile reviews, we’d like to do our best by presenting only key concepts of the subject vehicle. This way, we believe, we will be able to present an unbiased view on what makes the Honda NSX such a hot number. As the “New Sportscar eXperimental”, the Honda NSX was truly a car that stood the test of time. Ever since its launch during the 80s, Honda has constantly pushed the envelope on each new release. As such, only the best and most innovative engineering and motoring concepts is expected in the NSX! Given as well the experimental take on what a car should be, the excitement goes a notch higher with the NSX. Not only are design aspects and materials experimented upon – overall car performance goes way beyond than what’s expected in the NSX! 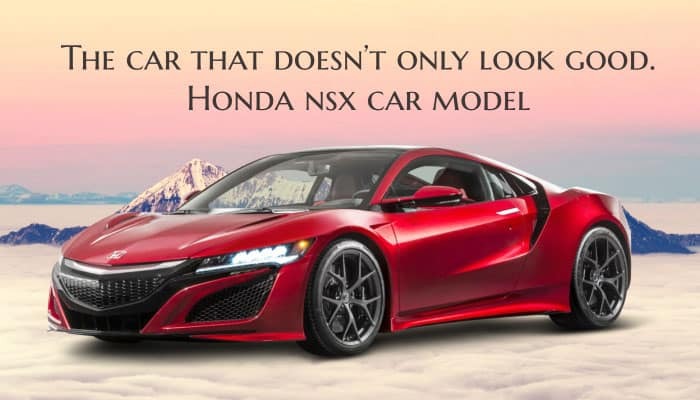 Given the success and reputation that this car beholds, it should come as no surprise then that the Honda NSX has a large following and fan base (and, admittedly, most of us here are too!)! 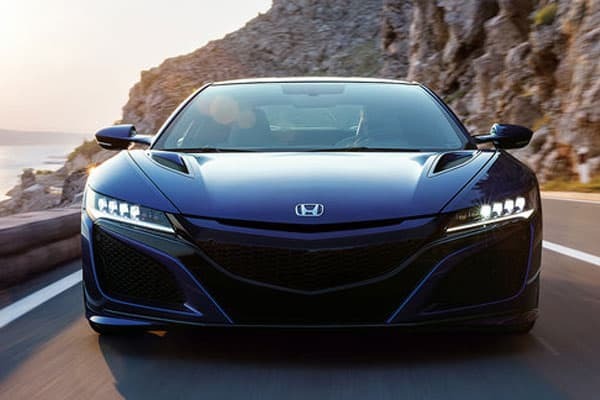 Iconic Formula One car designer Gordon Murray stated that other benchmark models of the F1 car he was then developing disappeared from his head when he drove the Honda NSX! When it comes to design, the Honda NSX took inspiration and applied practical and best practices of an F16 fighter jet! 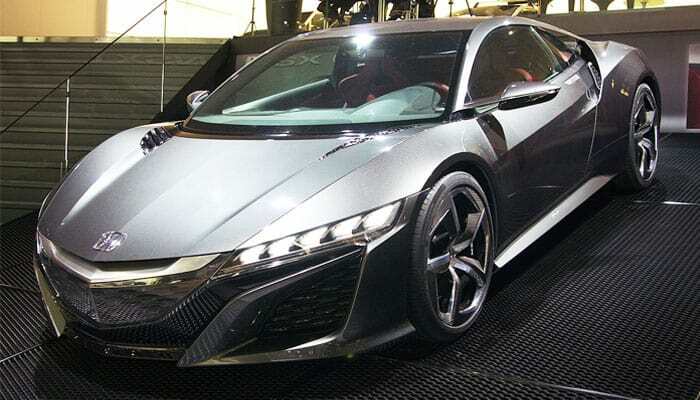 Of course, specs differ for each Honda NSX variant released. And this is why we’re sharing some of the best highlights this car has below. Perhaps the most important specification one can appreciate from the Honda NSX is its focus on the driver. With each integration of engineering and smart motoring tech into the vehicle, Honda made sure that the prime focus remains on drivers themselves. 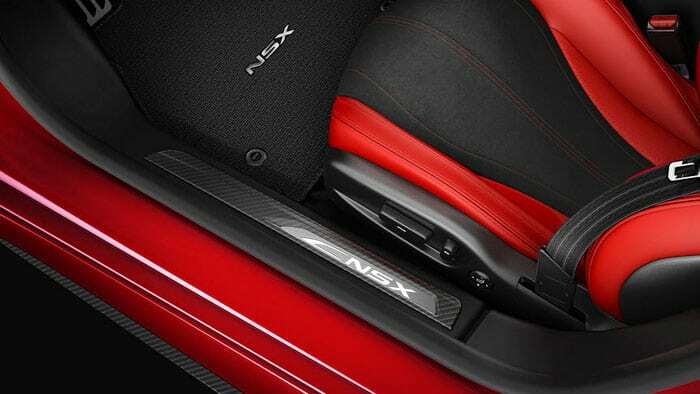 After all, the NSX serves as an extension for the motorist, making each ride as seamless and comfortable as possible. In line with its design principles (which we will tackle later on) is the Honda NSX’s focus on functional aesthetic facets. And the best example that this philosophy is integrated upon is the car’s amazing aerodynamic features. With the car sculpted in such a way that air flows dynamically, drag is reduced while at the same time engine and brake cooling is maximized. It’s poetry in motion, which Honda has actually dubbed as “Interwoven Dynamics”. 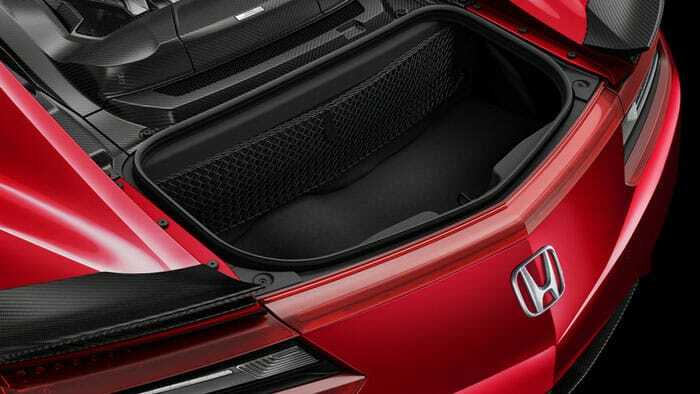 Impressive power is found under the hood of the Honda NSX. Hand-built to perfection, the car’s V6 (twin turbocharged, 3.5 litre) engine is a behemoth that is surprisingly tamed with the NSX’s smooth and reliable controls. Also, because of the unique energy recovery created by Honda technology, drivers are assured they are in control of this beautiful beast – again, assuring safe, smooth, efficient, and exciting drives. Being a sports hybrid car, the Honda NSX’s electric motors works in tandem with the V6 engine for harmonious power distribution. These electric motors (the lithium battery, Power Drive Unit, and the Intelligent Power Unit) allows maximum acceleration that will surely bring in the thrills. Turning is a breeze in the Honda NSX with the vehicle’s Twin Motor Units. Adjustments can be made on the fly with this integration, allowing drivers the best control of the vehicle. Virtually, a connection is indeed made between machine and man! The Honda NSX also entertains both drivers and passengers with its amazing infotainment features. 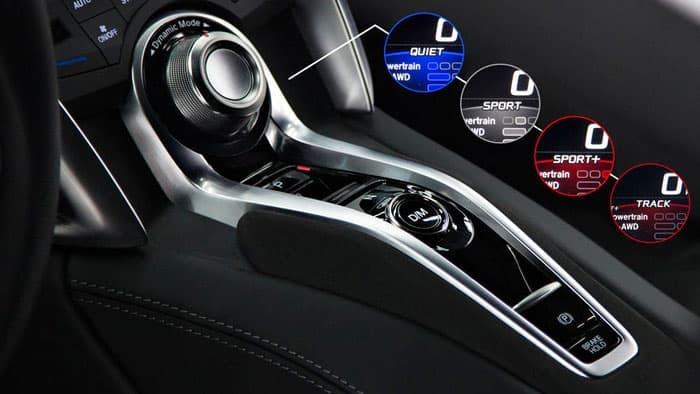 With the choice of using a snazzy touchboard, voice commands, or controls found on the steering wheel, motorists can bring in the music without losing a beat when driving. 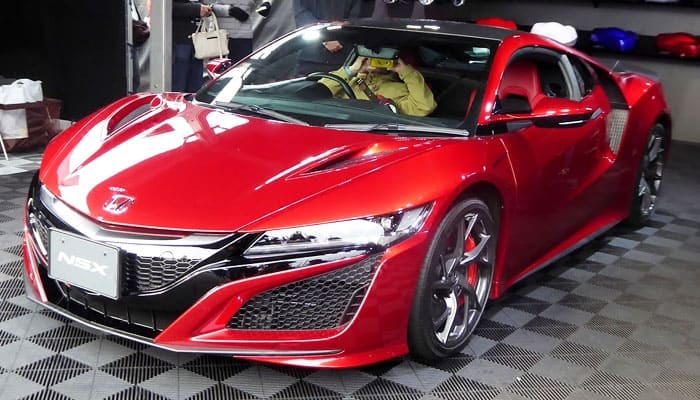 And with the surround music created by the nine-speaker system (designed by the popular sound engineer, Elliot Scheiner), being in the Honda NSX can very well be the same as in one of the best concert halls in the world! As mentioned, expert craftsmanship has been invested in this amazing and beautiful car. 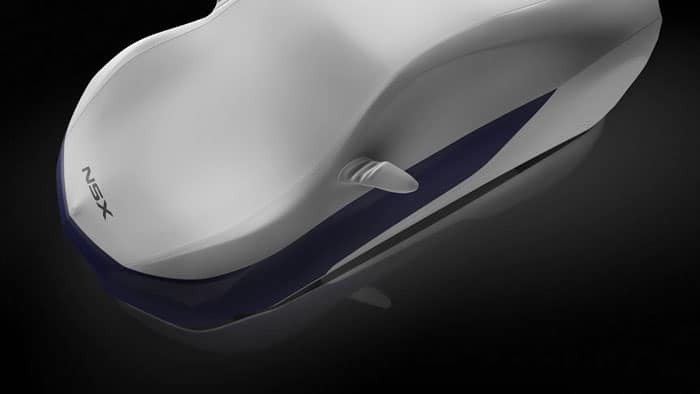 Taking inspiration from an aircraft, and making use of premium materials (such as lightweight aluminum) creates an amazing automobile that both performs and dazzles. Handcrafted to perfection, with even assembly bays designed and maintained in tip-top shape, each Honda NSX is a work of art to be treasured. In fact, the NSX’s sculpted body takes much time to produce. Aside from the assembly of premium materials, much thought and skill has been placed in an NSX paint job. With several processes in placed (both with expert manual labor and automated finishes), quality is indeed assured in producing this car. The interior doesn’t lose out as well. 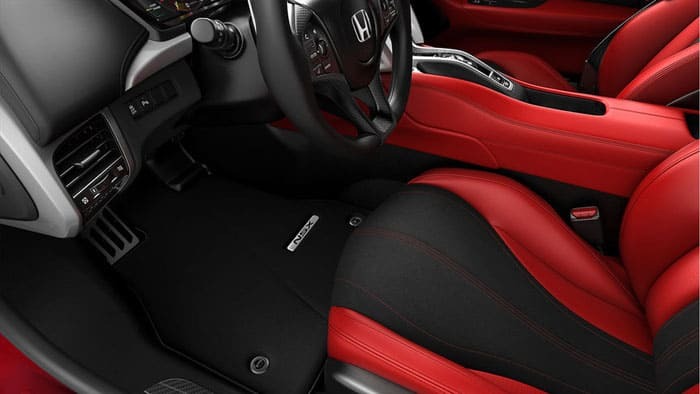 The Honda NSX cockpit also uses the best materials available, such as Alcantara finishes to go with the Milano leather sport seats. After all, only the best should be provided for this prime car! What is there more to say than the Honda NSX is a fine and classy vehicle? The car doesn’t only look good – it performs and excels that it will always top one’s expectations of a dream car! We do hope that you get the opportunity to drive an NSX today. And if you do, do let us know of your experience!